21.08.2012: 0230 UTC: Posn: 09:15.9N – 013:58.3W, Around 23nm SW of Conakry Port, Guinea – Seven armed robbers in a fast boat approached an anchored general cargo ship during heavy rain. Six robbers boarded the vessel and entered the bridge by firing at and breaking the bridge windows. They took hostage the electrical officer, second officer and third officer, tied their hands and took them to the Masters cabin. They then ransacked the Masters, Chief Eng, 2/Mate, 3/Mate and 2nd Eng cabins, stole cash and other valuable belongings and escaped in their waiting boat. 3/Mate received slight injuries on the face when he was hit during the incident. The Master contacted Conakry port control but no response received. 17.08.2012: 0430-0500 LT: Posn: 21:52N – 091:42E, Kutubdia Anchorage, Bangladesh – Robbers boarded an anchored bulk carrier, stole ship’s stores from the poop deck and escaped unnoticed. The theft was noticed by duty crew during routine rounds. Port Control and Coast Guard were informed. 10.08.2012: 0100 UTC: Posn: 08:30.0N – 013:32.7W, Freetown Outer anchorage, Sierra Leone – Three robbers armed with long knives boarded an anchored bulk carrier. Alert D/O sighted the robbers and raised the alarm. Crew mustered and Master informed port authority and local agent. Seeing crew alertness the robbers escaped with stolen stores. All crew safe. 09.08.2012: 2100 LT: Posn: 22:09.1N – 091:44.5E, Chittagong Inner Anchorage, Bangladesh – About 10 robbers armed with long knives boarded an anchored container ship from the stern. They held one crew member and threatened him with long knives and stole ship’s stores. OOW lost contact with the duty crew and raised the alarm. All crew were mustered and they rushed to the aft mooring station. Upon seeing the crew alertness, the robbers released the duty crew and escaped with the stolen stores. 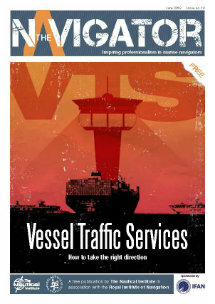 06.08.2012: 0230 LT: Posn: 06:00.30S – 106:53.59E, Tanjung Priok Anchorage, Jakarta, Indonesia – Four robbers boarded an anchored bulk carrier. They broke open the aft store and stole ship’s property. Duty O/S spotted the robbers, raised alarm and ran after the robbers. While the O/S was grappling with two of the robbers, the other two robbers jumped into the water with the stolen ship property. On seeing the other crew approaching, the remaining two robbers jumped into the water and escaped with their accomplices. 03.08.2012: 2220 LT: Posn: 03:46N – 006:40E, Around 45nm SW of Bonny Island, Nigeria – Pirates armed with AK 47 approached and boarded an anchored barge. They opened fire on the vessel. Two naval personnel killed and two naval personnel injured. The pirates stole vessels property and cash and kidnapped 4 crew members before escaping. Incident was reported to Nigerian Navy and Bonny Station. Naval personnel were deployed to secure the barge. Negotiations in progress for the safe release fo the 4 kidnapped crew members. 02.08.2012: 0230 LT: Dumai Anchorage, Indonesia – Five robbers armed with long machetes and knives boarded an anchored chemical tanker. Three crew members were taken hostage and their hands were tied. The robbers stole engine spares and escaped. No injuries to crew.